Give into the deliciousness of autumn's ubiquitous flavor with pumpkin recipes that cover every meal of the day. 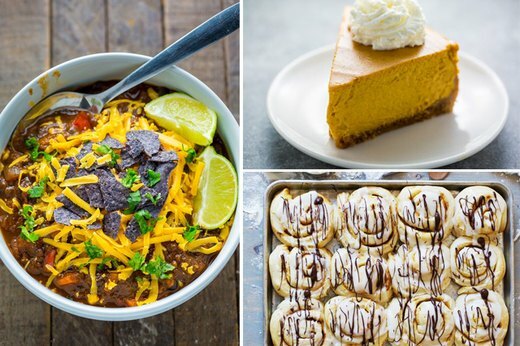 From a classic pumpkin spiced latte to a savory pumpkin and black bean chili, and a creamy pumpkin cheesecake to fragrant pumpkin cinnamon rolls, these recipes will satiate any hankering that comes your way. 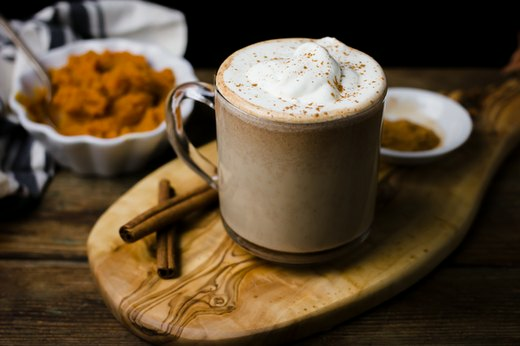 When fall becomes synonymous with pumpkin spiced lattes, your beverage of choice from now until Christmas is obvious. But guess what? You can skip your local coffee shop, because this pumpkin spiced latte is better than any one a barista will make you — and you can enjoy it at home. The scent of melted sugar and cinnamon from freshly baked cinnamon rolls gets a whole new note the moment pureed pumpkin, cloves and nutmeg enter the mix. 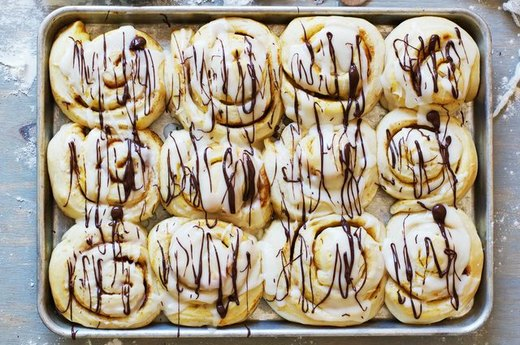 These pumpkin cinnamon rolls are just what you need to start your morning on the right foot. The delicious smell wafting from your kitchen is sure to attract everyone you know, so consider making a double batch! 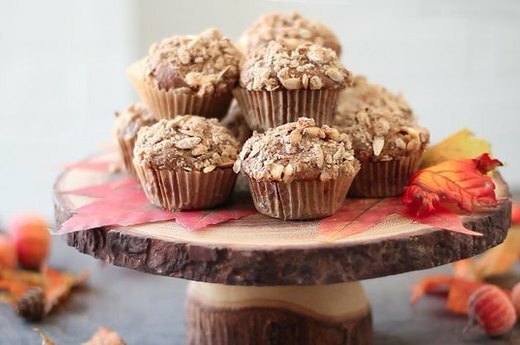 Whether you bake them for yourself, your family or as a treat to bring to the office, these pumpkin spiced latte muffins are a definite must. Not only are these mouthwatering baked goods replete with hearty oats, rich pumpkin and sweet white chocolate chips, but they come with an espresso jolt, too. 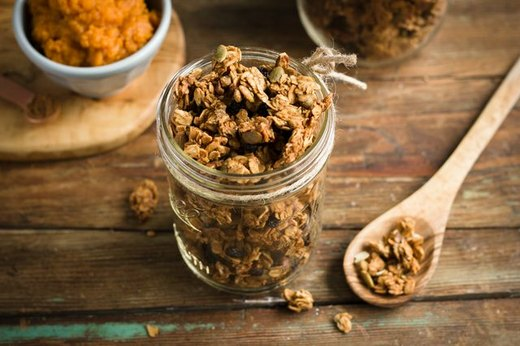 Homemade granola sounds like a pain to make, but this pumpkin spiced granola is so simple to do that you'll quickly get into the habit. 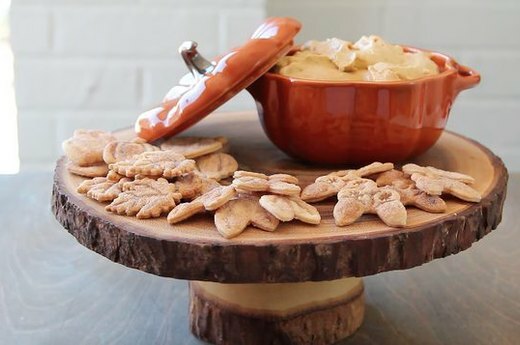 With the nutty combination of pecans, cinnamon, nutmeg and a hint of pumpkin puree, each serving is a symphony of flavor. Eat it with milk, over yogurt or by the handful. Take all the best parts of a pumpkin pie and transform them into something that will wow your friends at your next gathering. These cinnamon and sugar pie crust cookies with pumpkin butter dip look impressive, but they only take about 20 minutes to create from start to finish. 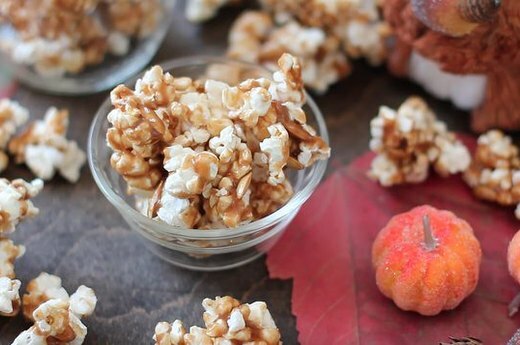 Once you get a taste of this pumpkin spice caramel corn, you will never want any other kind of popcorn. You may find yourself dreaming about the rich caramel crunch and the warm pumpkin flavor for days after that last bite. Whether you plan to share it with friends, or hoard it for yourself, this is a recipe that you'll make again and again. 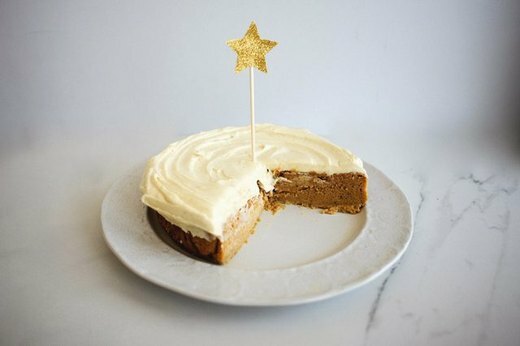 For a cake that will blow your mind and your tastebuds, make this pumpkin pie magic cake before autumn draws to a close. It starts out as one cake, but as it bakes, the magic happens: you're left with a three-layer beauty that is one part dense, one part light and one part sweet. Top it off with a cream cheese frosting, and your mouth won’t know what hit it. 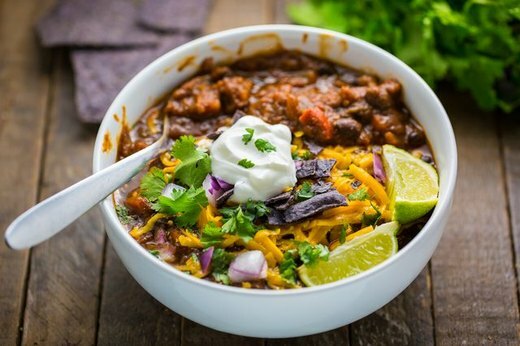 A playful spin on pumpkin everything, this warm and hearty black bean and pumpkin chili will certainly fill you up this fall. You'll taste the bite of jalapeños and cayenne, the sharp crunch of onions and bell peppers and the mellow richness of pumpkin and black beans with every bite. It's the perfect dinner for a chilly evening. 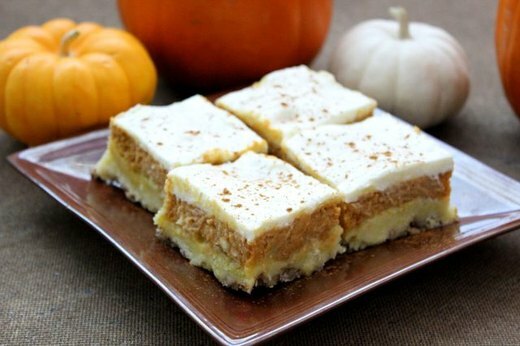 While the name of this pumpkin-y treat doesn’t give a whole lot away, these pumpkin crisp bars don't have to be over-the-top to taste great. Layers of crunchy pecans, cake crumbles, sweet pumpkin filling and decadent cream cheese frosting combine into a dessert that's simply gratifying. Sometimes the most straightforward sweets can make a lasting impact. When you’re hosting a party and you just can’t decide between two dessert favorites, why not just bake both? 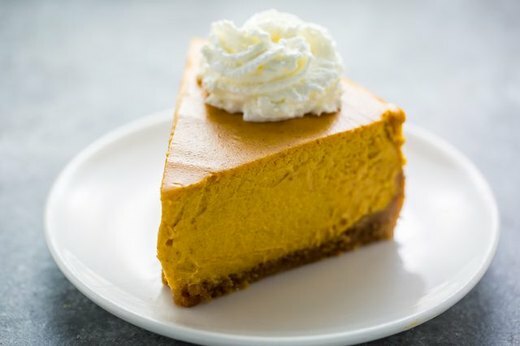 Creamy pumpkin cheesecake combines two classic treats into one, and it's perfect for the dessert aficionado who just can’t make up her mind. For an Instagram-worthy slice, be sure to add a whipped cream swirl on top. 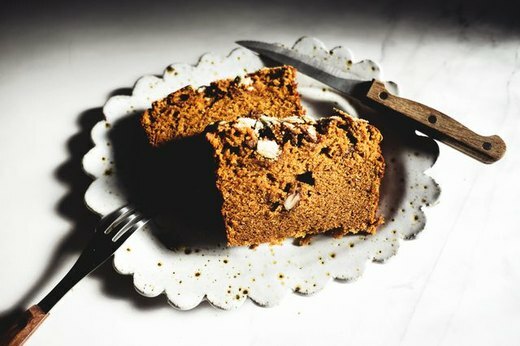 Easy to prepare and easy to make, this pumpkin bread recipe is a no-brainer when that craving kicks in. The sugared pumpkin seeds topping just sends it over the edge. Everyone will love this!